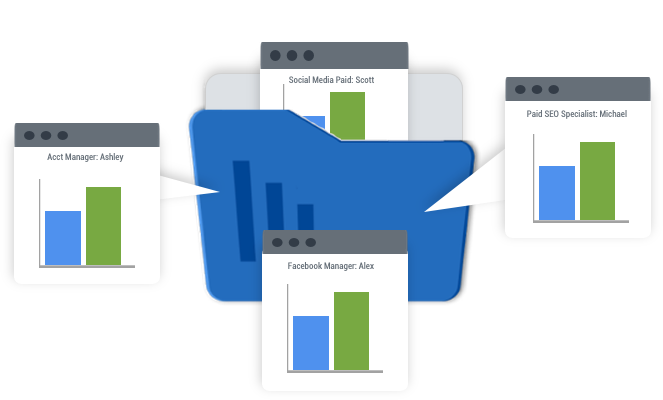 Factivate combines breakthrough cloud-based technology with on demand expertise to provide a personalized marketing performance management analytics solution that puts you firmly in control of your team (or marketing agency’s) performance. Harnessing the power of data doesn’t need to be stressful. Don’t settle for a tool when Factivate can provide you with a complete solution. In today’s digital world one size doesn’t fit all. Factivate works with you to design a solution that’s custom to your unique requirements. Data insights require genuine transparency. 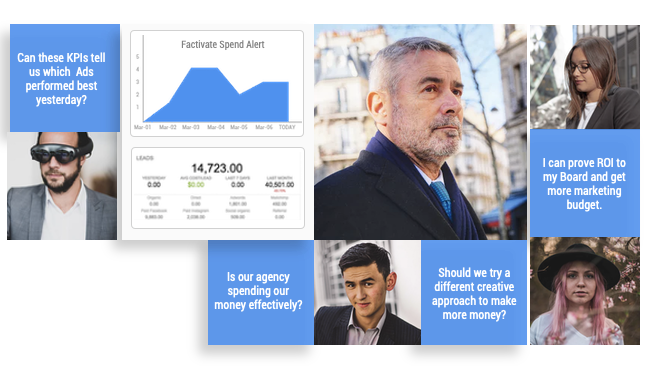 Factivate combines YOUR KPIs with data from multiple sources so you can make the best "informed decisions." Ever wonder what your agency isn't telling you? Factivate helps you see behind their "data curtain" in order make sure your resources are spent effectively and reported transparently. Use Factivate to make sure your goals and your agency's goals are continuously aligned. We understand that people within an organization need to consider data slightly differently. This is why we custom-build an intelligence solution that works for your entire team. Whether you're a brand analyst or a C-level Executive, Factivate was built to help you perform better. We make it easy for you to see how your entire team is performing in real time. 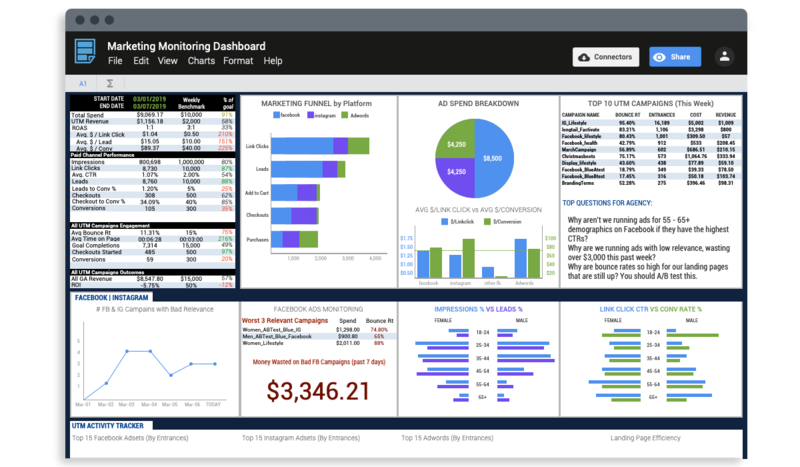 Monitoring can be done per account, per organization, or even per multiple brands. Start out with our best-practices health check or jump ahead to our customization services. Within a few days, you won't believe you survived without Factivate before.